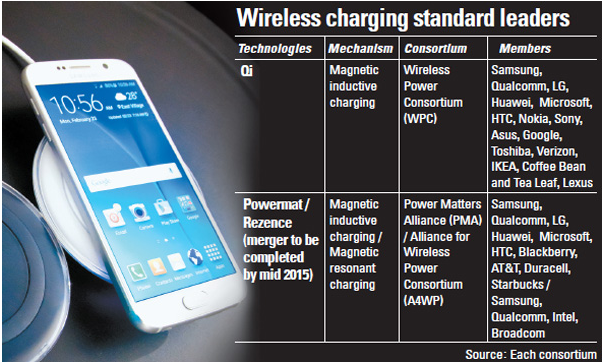 I agree with the general point made in a recent article in The Korea Joongang Daily that the Samsung Galaxy S6 represents the dawn of the wireless charging era. This constitutes another small, but important hardware-related innovation by Korea's leading electronics firm. All other things equal, consumers around the world will prefer wireless to "wired" charging of their smart devices, just as they prefer mobility to the older desktop machines that were tethered to an electrical outlet and RJ45 connector for high speed internet access. Having acknowledged this, the central looming challenge for Samsung Electronics and Korea's other leading smart phone manufacturers is to begin offering innovative and attractive software, applications and services for these devices.